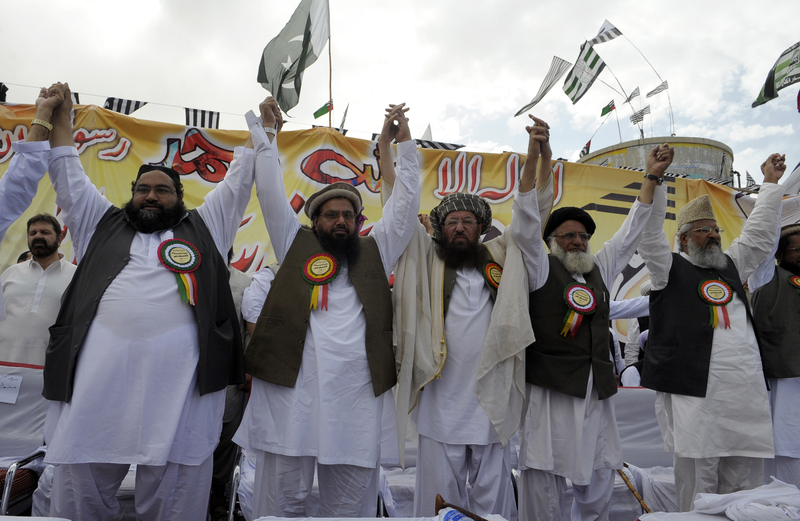 A prominent Pakistani religious leader, known as the “father of the Taliban” for his close ties to the Islamic terrorist organization, was stabbed and shot at his home Friday in Rawalpindi, according to family members. Maulana Samiul Haq, 82, was found dead and bloodied after an attack that his nephew believes was premeditated and planned at a time when the attackers knew Haq’s bodyguard would not be there. “It’s seems to be an organized attack as they knew that Maulana Samiul Haq was alone in the house,” his nephew, Mohammad Bilal, told NBC News. “We don’t know about the number of assailants at the moment but from the body of my uncle seems that they had severely tortured him before taking his life,” Bilal said. Haq was a former senator and longtime leader of a Sunni conservative Muslim party, a foe of Western countries, and is credited with training thousands of Taliban members while he was a leader at Darul Uloom Haqqania University. Hundreds of mourners gathered in the streets Friday to protest Haq’s killing, which came after violence in the Muslim region after the Pakistan Supreme Court’s Wednesday acquittal of Asia Bibi, a Christian woman who had been sentenced to death on blasphemy charges. Pakistani President Arif Alvi and Prime Minister Imran Khan condemned the killing, according to The Associated Press. “We lost a great scholar and religious leader today,” Khan said in a statement while on an official visit to China. “Those behind his killing were in fact the enemies of Islam,” Taliban spokesman Zabihullah Mujahid said.